• Seals are sequentially numbered. • Insert by finger pressure. • To open pouch, pull zip puller upwards, breaking seal. Use these Security Seals with your mailing pouch for tamper evident security when mailing cash and other sensitive items. 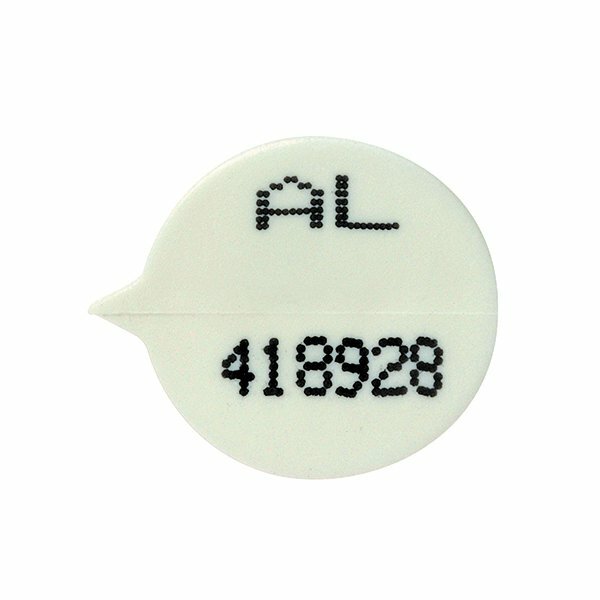 For increased security, these seals are sequentially and individually numbered, so you can quickly and easily check for tampering, even if the seal is replaced. They also use a design intended to prevent the build-up of debris, just follow the easy four step application to secure your pouches. This pack contains 500 white seals.